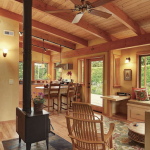 Manufactured Homes | Why Prefab Homes Are Looking So Good? 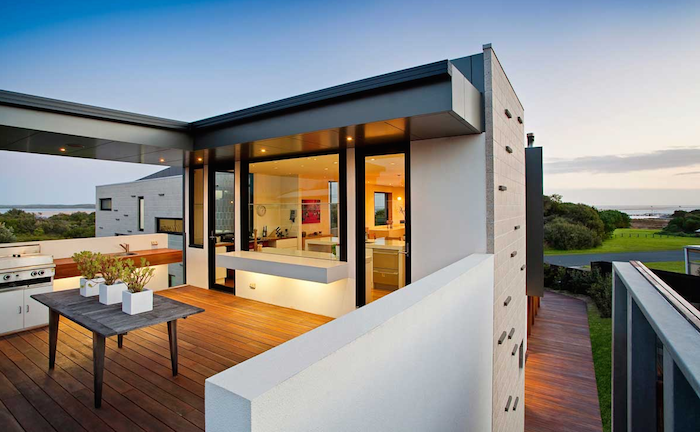 Home » Why Prefab Homes Are Looking So Good? Demonstrating yet more reasons why manufactured homes are beginning to “grab market share” from the more traditional single-family residential units, the National Association of Homebuilders (NAHB) discovered a cavernous gap in the price per square foot paid for site constructed homes from Florida to California. Meanwhile in the “Land Down Under,” Australia’s fast growing ranks of retirees are putting pressure on their existing manufactured housing market – exciting the good folks at GE Capital, who are ready to lend some serious cash to the Australian manufactured home industry. And if you thought you were the only one to be turned down for refinancing on your primary residence … you’re not alone. Just ask Ben Bernanke!? The recently retired Fed Chairman was mystified when his attempt to refinance his primary residence was rejected. 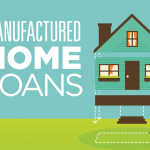 It’s Friday October 10, 2014 … Here are today’s Manufactured Housing Headlines! HAHB Stick Built Home Prices go through the roof. Excluding the prices paid for lots and land, the NAHB is reporting that home buyers in the East South Central region of the United States can expect to pay $84 a square foot. While homebuyers in the Pacific division can expect to pay approximately $145 per square foot for their average stick built, site-constructed home. This insightful information was gathered from the Survey of Construction (SOC) Data – an amalgamation of contractors and builders from across the country, which participate in data sharing. Australia’s tidal wave of retirees drives prefab housing surge. Recognizing the “tremendous opportunity in manufactured housing,” the bright minds at GE capital, which have already lent over $5 billion to the skilled craftsmen building America’s manufacturing homes, are about to do the same for Australia and New Zealand’s. As Australia’s aging population begins to contemplate their golden years – at the same time housing affordability continues to decline – investors like J.P. Morgan Chase and GE capital are ready to profit from the manufactured housing sector. Lending further credence to the notion that manufactured housing will no doubt be the home of the future for many. Ben Bernanke agrees, refinancing seems impossible: On October 3, 2014 the Internet went ballistic when Ben Bernanke disclosed during a question and answer session on Capitol Hill, that he had been turned down for refinancing on his primary mortgage. “I recently tried to refinance my mortgage and I was unsuccessful in doing so.” After the laughter died down, the ex-Fed chairman wanted to make clear that “I’m not making that up.” Concerned over the tightened lending standards, Bernanke lamented that the one time lax lending standards, had now been made so tight that first-time homebuyers and retirees are now suffering due to a lack of financing options.